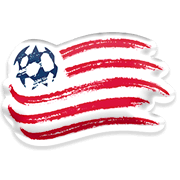 New England is sitting in 7th place in the Eastern Conference while Portland Timbers are occupying 7th place in the Western Conference. This match will not decide much but since both sides are looking to stop their bad form and move up in the table, they will be motivated to win. The game will be played at the Gillete Stadium in Foxborough. Four out of their last five matches ended all square with Portland registering one win. Portland have three more wins than New England this season. The man to watch is Teal Banbury, the 28 year old New England forward who has scored 11 goals so far. On the other side, there’s the experiences Diego Valeri who has managed to net 9 goals from midfield. 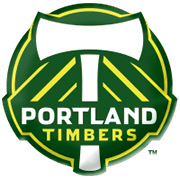 There is not much to choose between these two teams as they are equally matched, but Portland do have more wins under their belt this year which should be enough to give them an advantage. Antonio Delamea Mlinar is a Slovenian footballer who plays for New England Revolution in MLS. Milnar was born in Celje, Slovenia on 10 June, 1991 and his main position is centre back. The New England Revolution defender played for the likes of Celje, Sampion, Aluminij and Interblock during his youth career and he signed his first professional contract with Interblock senior team. Mlinar scored one goal in 23 league appearances for “the Gamblers” from 2008 to 2011 and in 2011 he joined Slovenian giants Olimpija Ljubljana. He played an important role in the capital club for seven years, but in 2017 he decided to take a step forward in his career. Mlinar signed a deal with New England Revolution in January, 2017 and he has been playing for the Revs ever since. He made his debut for the Slovenia national team against Poland in November, 2016, replacing Miral Samardzic in the second half of the match.